Four fast talking local comedians are in the mix for the next Hanover Street Comedy Sundowners at GrandWest on 7 May 2017. Unleashing their special brand of humour are Schalk Bezuidenhout, Nkosinathi Maki, Liam Bento and Dalin Oliver. Oliver, who’s fast becoming one of the rising stars of the industry, organizes the monthly comedy offering with entertainment veteran Stan Mars. Their relationship started at Good Hope FM where they worked on the same show. Mars as the host and Oliver as his sports presenter. Since its inception in 2014, Hanover Street Comedy Sundowners has become a renowned comedy hub in Cape Town. It’s opened its doors to comedians from all over the country and has seen up and coming acts as well as industry stalwarts grace its stage. With a loyal audience base that bring big laughs with a certain local flavor, the venue is rated as one of the hottest rooms to perform at in the Mother City. “Working behind the scenes to bring dynamic comedians to Hanover Street as well as playing the role of host on a regular basis, Oliver is indeed a credit to comedy at GrandWest. 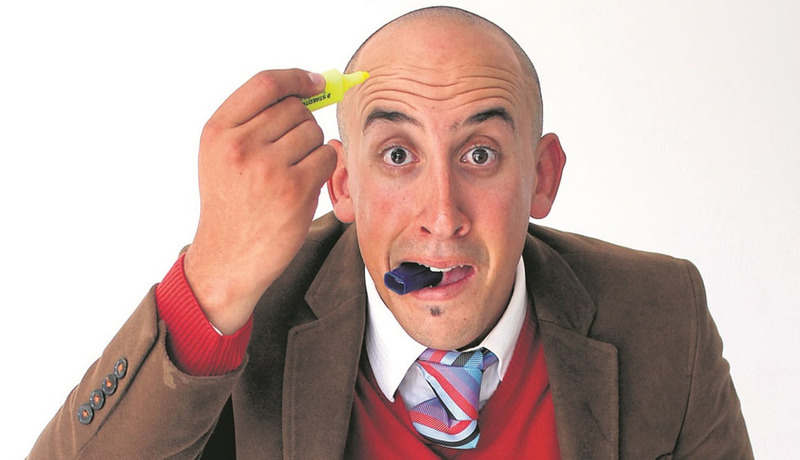 Do not miss him and his funny friends at the May edition of Hanover Street Comedy Sundowners,” says Elouise Matthys, the PR and Promotions Manager at GrandWest. The doors will open at 17h00 and the show will start at 18h00. The cost to enter is R60 per person, strictly for over 18s. Contact 082 588 6662 to book. The first 100 guests through the doors will receive a complimentary drink.